Always check a country's visa and validity requirement and always make sure to have enough blank pages. Knowing a thing or two about passport and visa requirements should be at the top of your checklist before heading to your next international destination. Some countries require no visa at all, some do if your stay exceeds 90 days, while others have certain restrictions that could prevent you from entering if your passport doesn’t follow some rules. Passports expire, too. The Points Guy recently had to renew his passport, filled with stamps and visas, and shared some of his favorite memories tied to it. Here are six things you should know about your passport, and what you should do if your travel buddy is expiring soon. Most countries require your passport to have six months of remaining validity. As a general rule, you should always make sure your passport will remain valid for six months beyond your planned trip. You never know if your travel plans are going to change, and the last thing you want is to be stuck. Some of these countries include Turkey, Thailand and Vietnam. You can always check your destination’s entry and exit information through the US Department of State’s website, and you should never assume countries within the same region have the same rules. Italy, France and Switzerland, for example, are part of Europe’s Schengen Area, which grants free circulation without passport within it, but Italy requires six months of validity on your passport to enter the country from outside Schengen, while France requires three months and Switzerland only 90 days. Similarly, a handful of countries require at least one or two fully blank visa pages for valid entry. This requirement could be for either an entry stamp or a visa. Countries that require a passport to have a blank page in order to be stamped include Mexico, Canada, the UK and Germany. Italy, Sweden, Singapore and Iceland along with several others require at least two blank pages for an entry stamp. Additionally, several countries require at least two blank pages in order to get a visa. For example, South Africa requires Americans who are staying beyond 90 days to obtain a visa, and the passport’s two blank pages must be adjacent. China will issue a six-month visa to a passport with any two blank pages, but in order to receive a 10-year visa, the pages need to be consecutive. Finally, keep in mind that the last two pages of the US passport are not qualifying visa pages. Make sure that you have an empty page with “visa” at the top. You’ll want to renew your passport before these visa pages are gone. China is among the few countries that offer a 10-year visa. If you think you’ll be traveling to and from certain countries over the next several years, you should look into whether your destination offers multiple entry visas. Along with China, Brazil and India also offer 10-year visas. The length of your visa can also depend on whether you are traveling for business or leisure. India does not automatically grant business travelers a long-term visa. Therefore, business travelers could be issued a multiple entry visa that’s valid for one, five, or ten years. Additionally, be wary of costs for multiple entry visas; Russia, for instance, offers a multiple-entry visa that can cost over $500. It is safe to assume your visas expire with your passport — even if your visas are still valid. 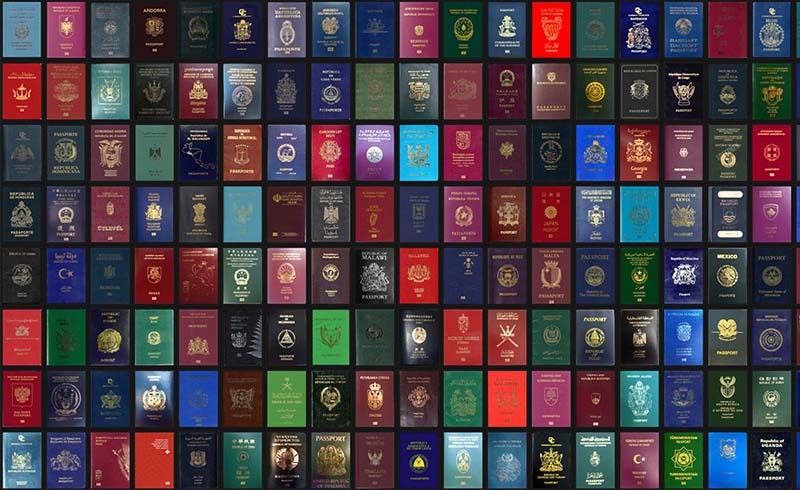 The only countries that allow you to travel with both your new passport and old passport containing your valid visa, as long as your identifying information hasn’t changed, are China, India, Saudia Arabia, and Brazil. There is absolutely no way to transfer a valid visa from your old passport to your new passport. Global Entry is extremely valuable and useful, especially when you’re constantly traveling in and out of the US. Because Global Entry lasts five years, there’s a chance your passport expires before your membership does. Good news for you: US Customs and Border Protection makes it very easy to update your new passport without having to reapply. We recommend using Allied Passport to apply for your next visa. TPG readers can receive a $5 discount on their application by clicking the link provided. Allied Passport is trusted third-party visa service that hand delivers applications to embassies. 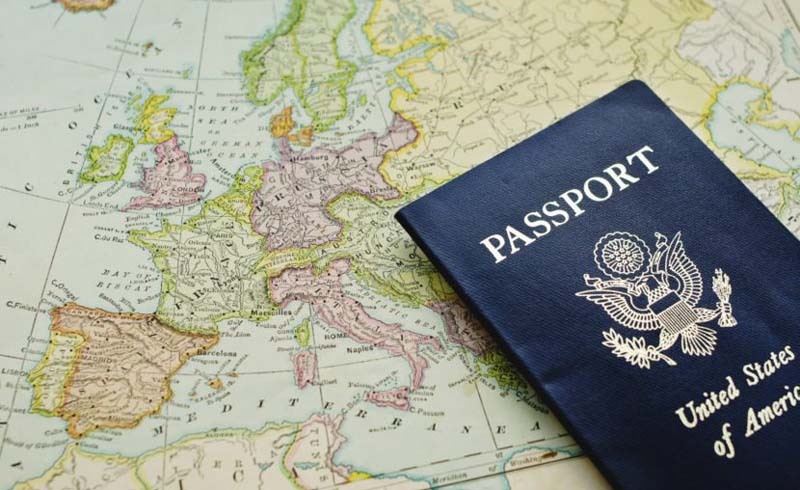 Steve Gempeler, the co-owner of Allied Passport, said using a third-party service that hand delivers a visa application is especially beneficial when applying for a visa to a country with a high security alert. Gempeler recommends applying for a visa through Allied Passport no earlier than two months before your departure: “If you get a visa five months out there are so many different circumstances in those five months compared to one month out,” he said. For example, you might get sick and have to cancel your trip.